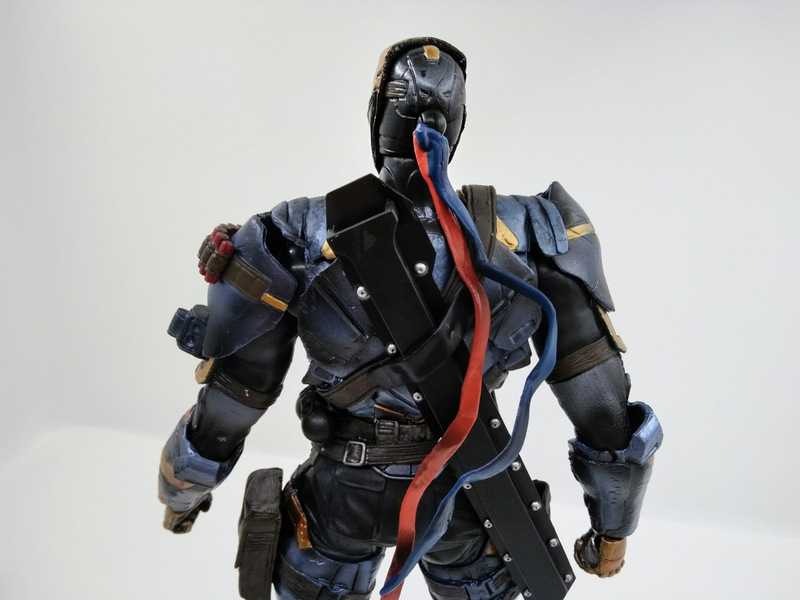 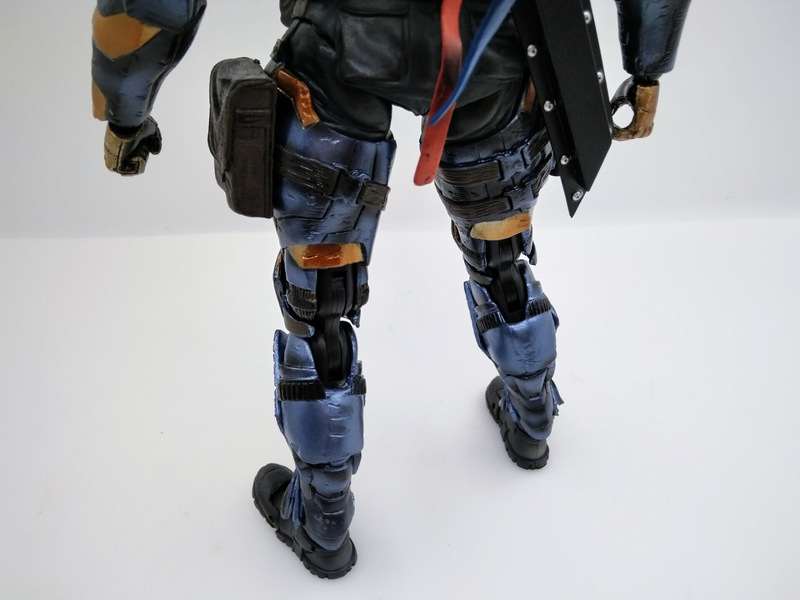 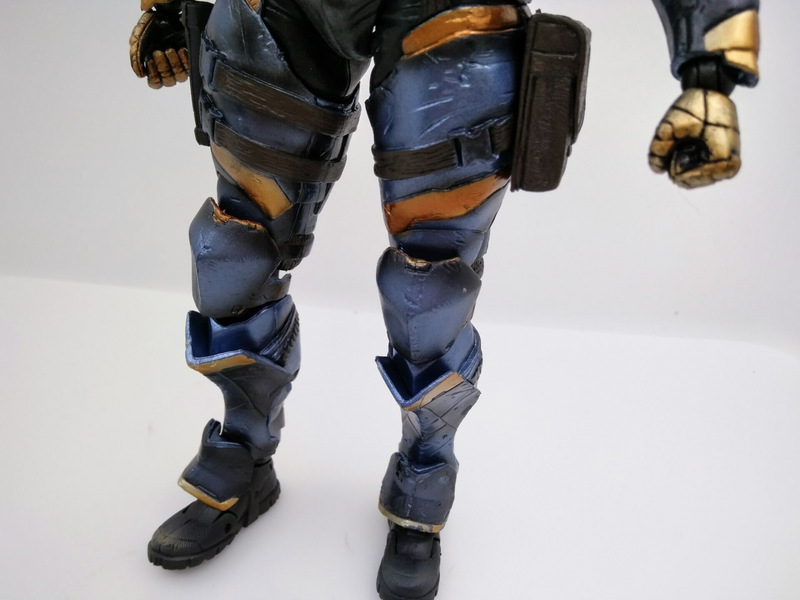 We recreated the nimbleness of Deathstroke to the utmost by incorporating flexible material in his shoulders and ankles to enable a wide range of motion. 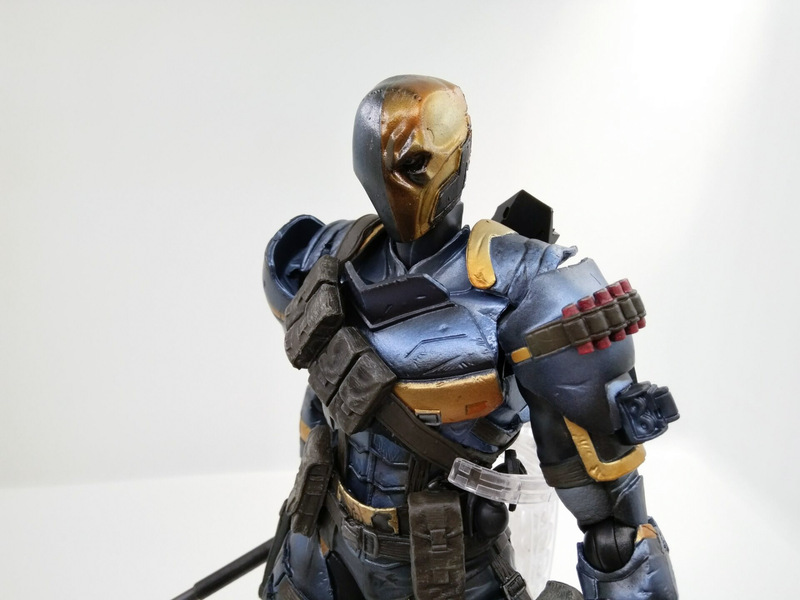 The paintwork features realistic weathering and chips on his armour, to imply the countless battles he has fought as an assassin. 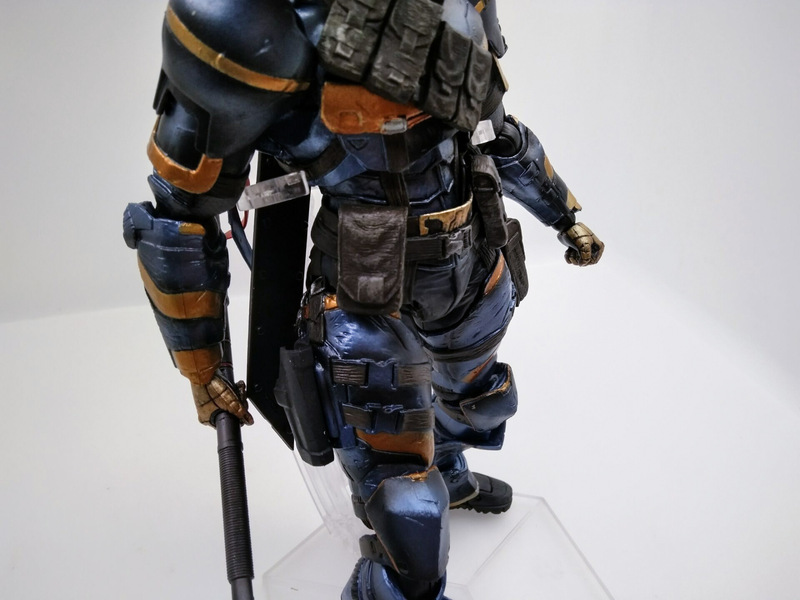 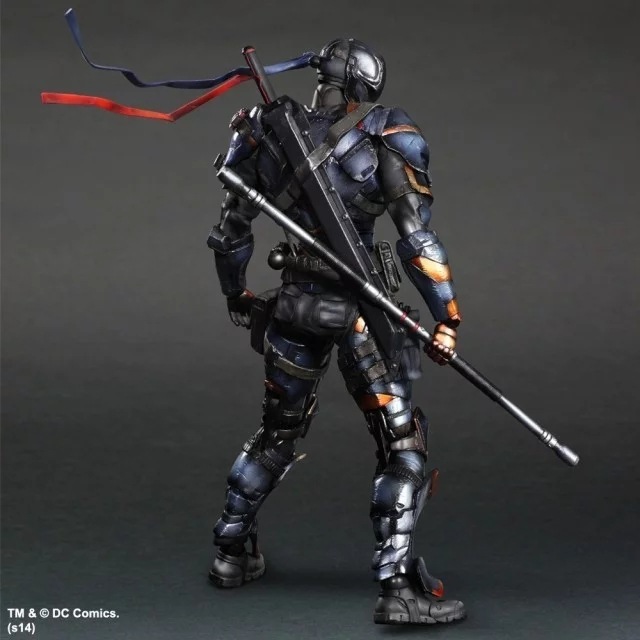 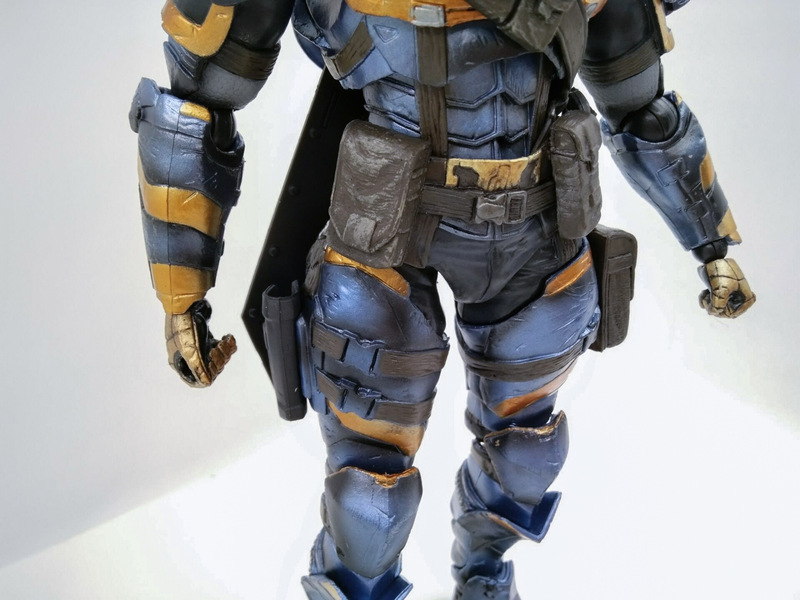 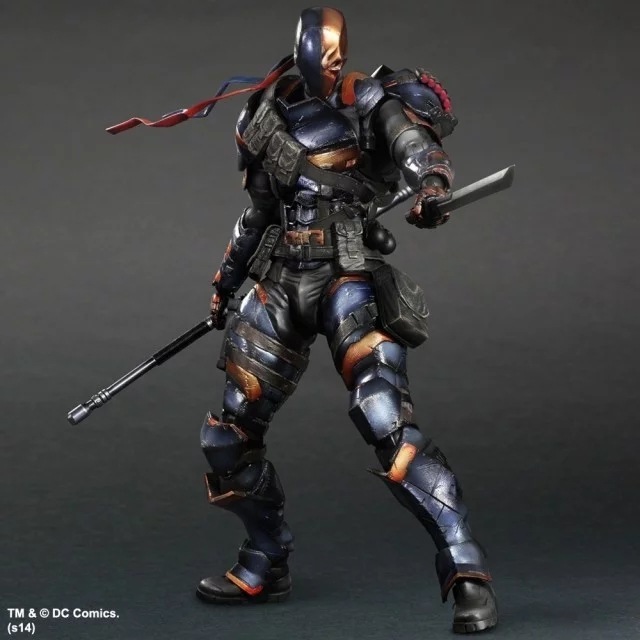 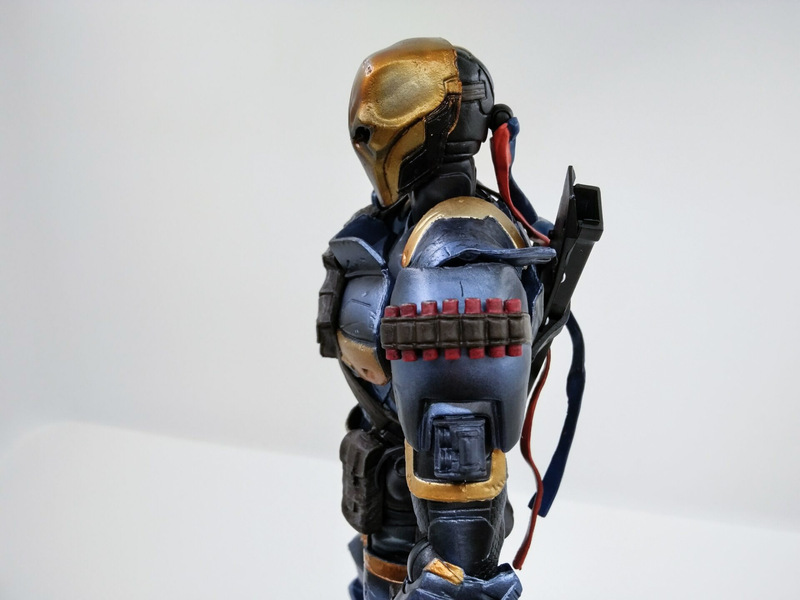 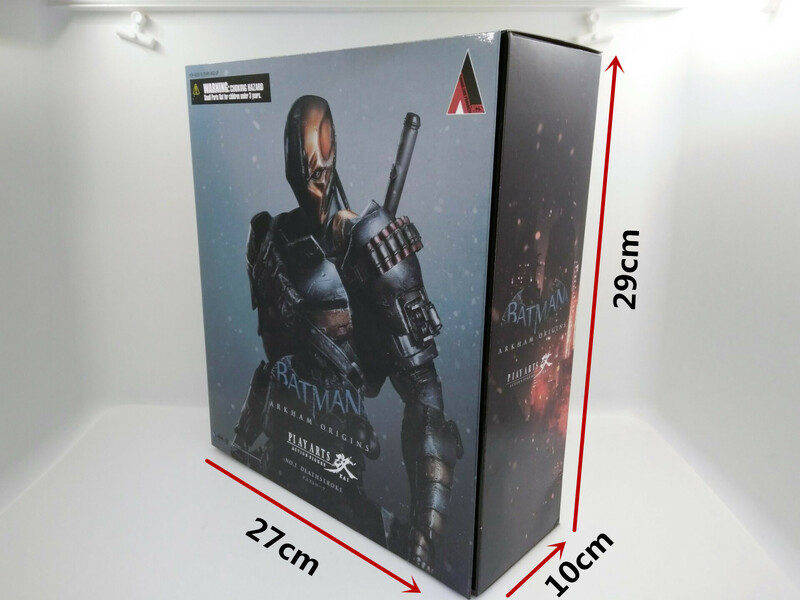 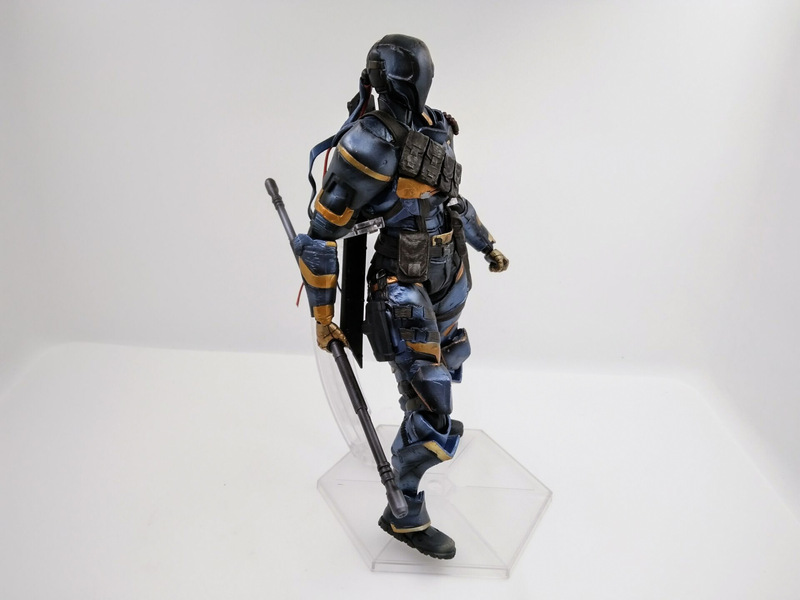 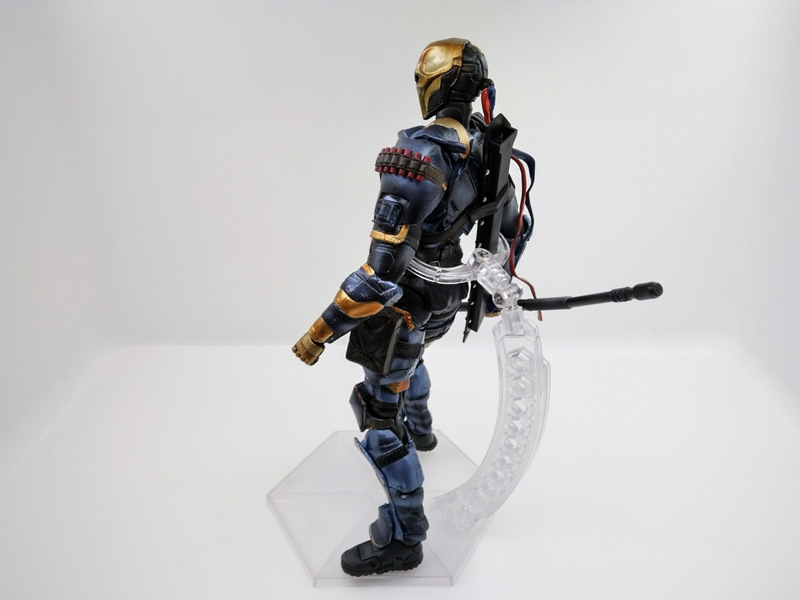 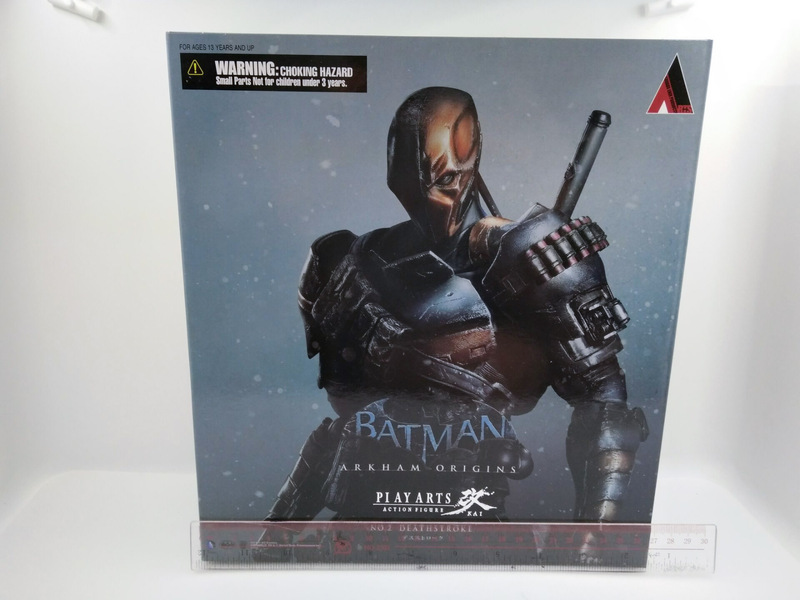 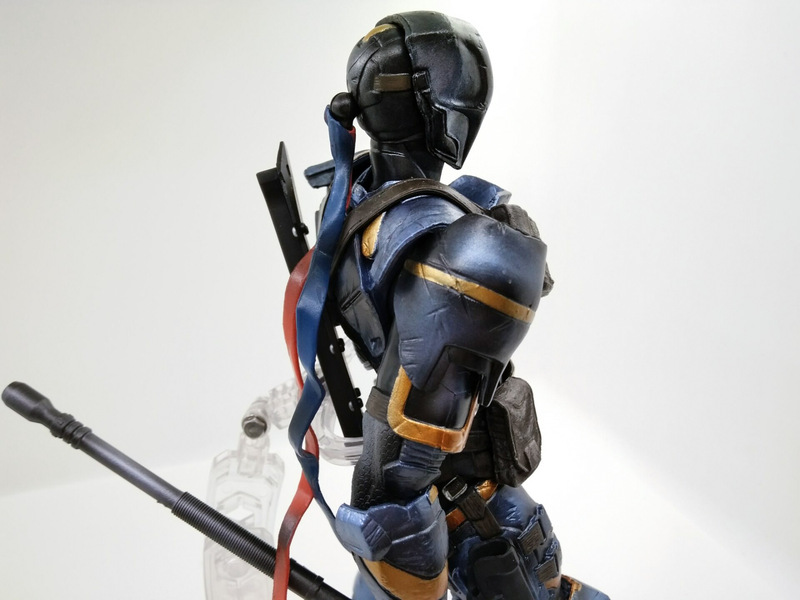 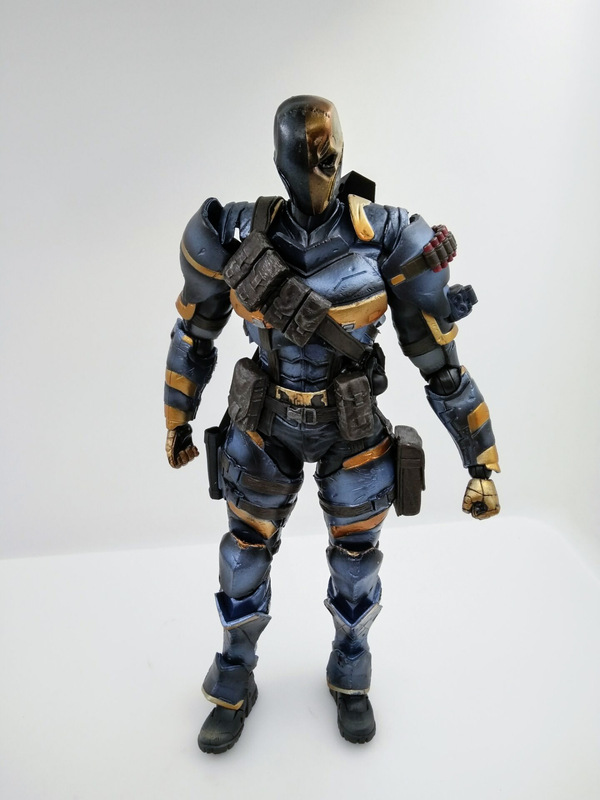 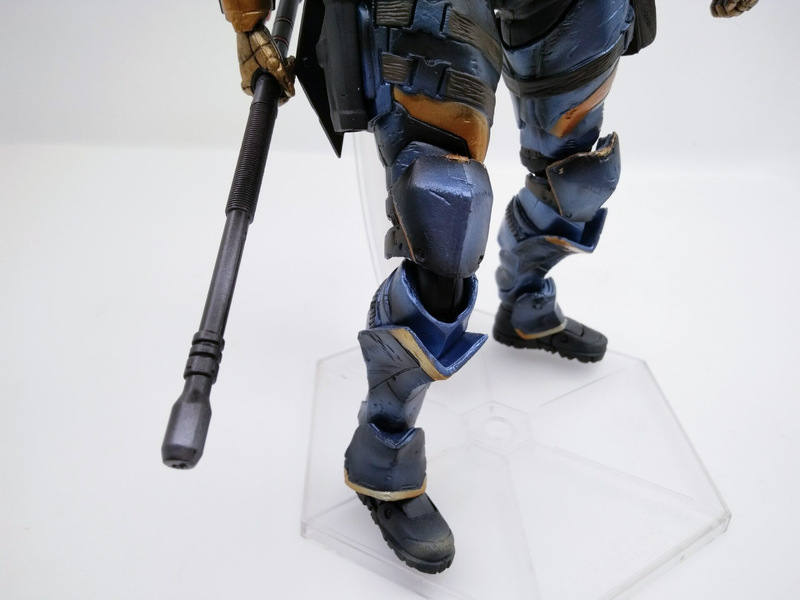 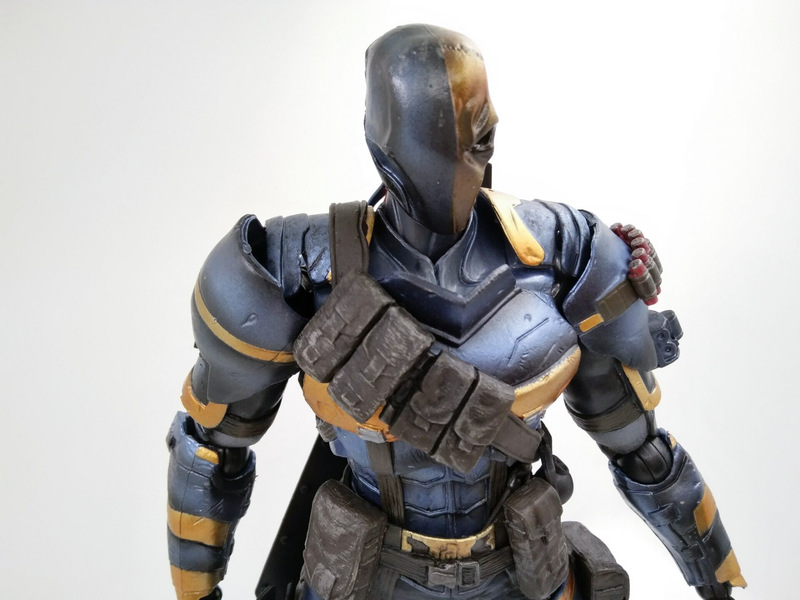 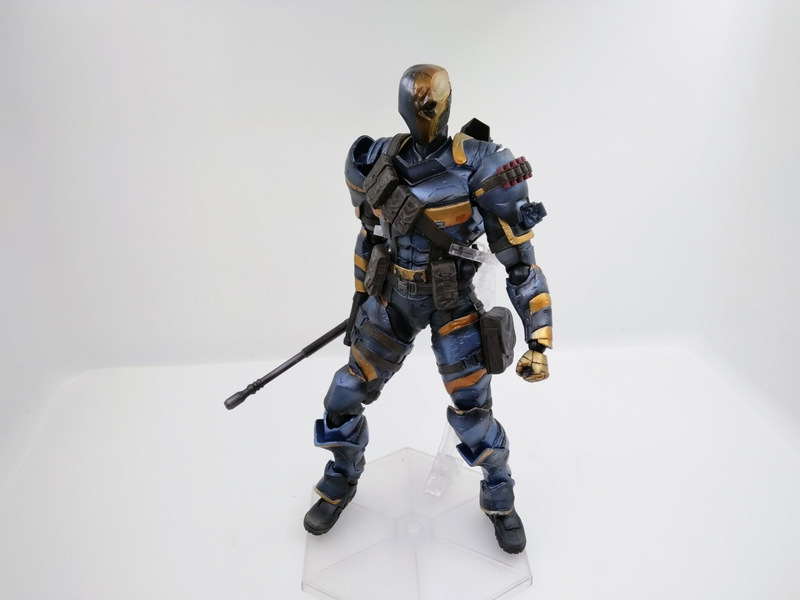 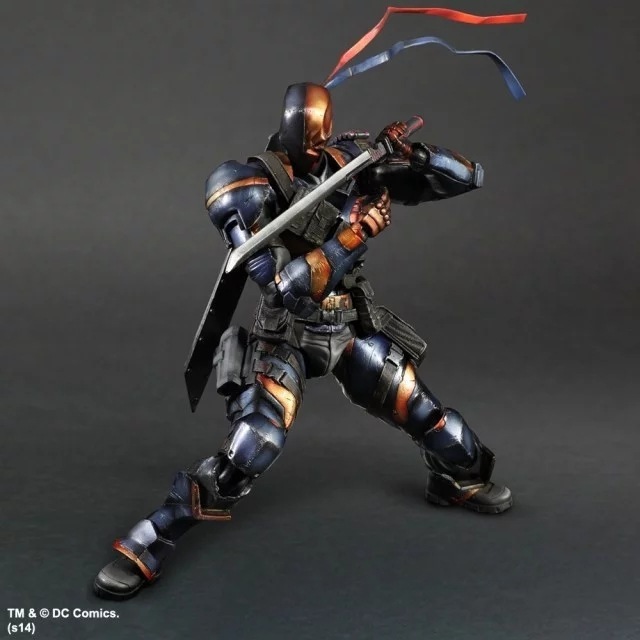 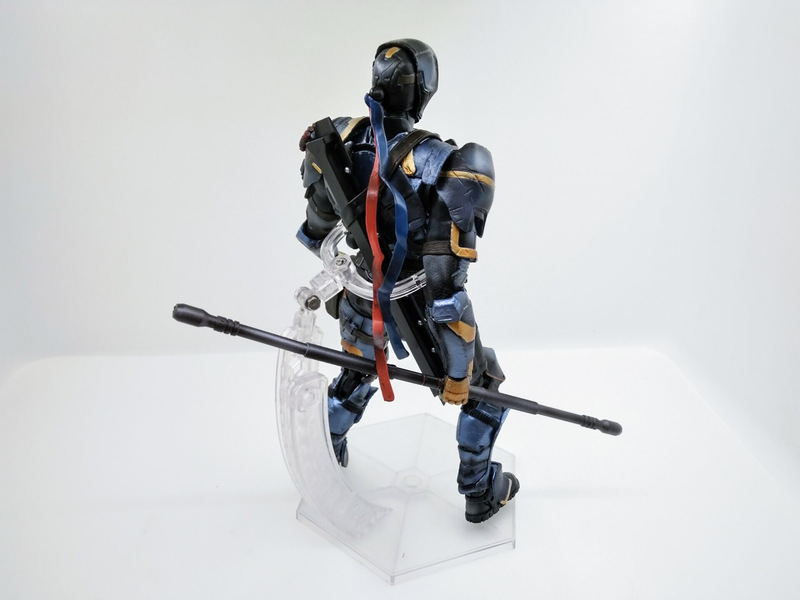 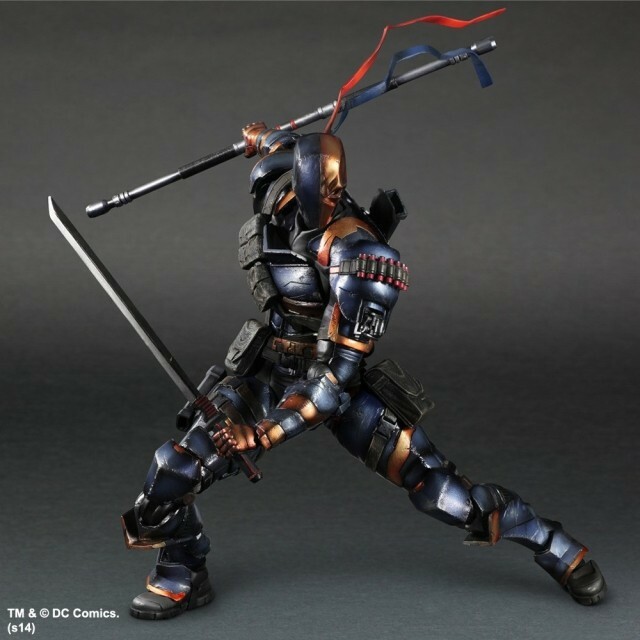 Befitting an expert on weapons and explosives, the Deathstroke figure comes equipped with an arsenal of weapons, including a hand gun, a club, a sword, and a rifle along with corresponding interchangeable hands.